Turn and reroll dwarven markers for Fantasy Football. 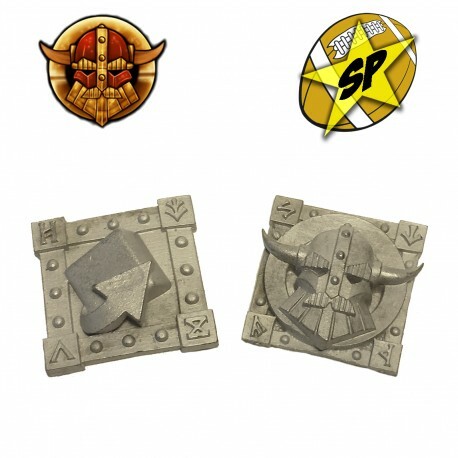 Dwarven Turn and Reroll markers pack for Fantasy Football. Markers are cast in metal and sold unpainted.